Since the first cave paintings were made, humans have been sharing stories. It's a fundamental communication method that reveals knowledge, passes along experience, and creates cultural and societal bonding. It's also engaging and downright fun! 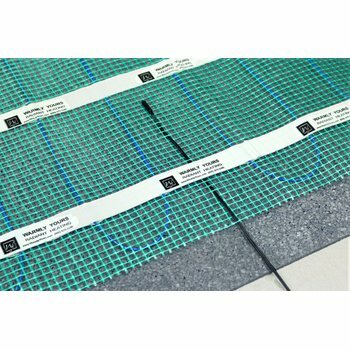 Radiant electric floor heating technology from WarmlyYours Radiant Heating, Lake Zurich, Ill., has been installed in more than a million homes worldwide, and we love hearing about each and every unique project. Real-life stories — your stories — can benefit and educate others and make us smile. That's the heart of the WarmlyYours "Share Your Story" program, where we highlight the experiences and stories of our customers to create a wealth of information, shared experiences, and fun! Here are the Top 10 "Share Your Story" blogs we've posted recently. Enjoy! 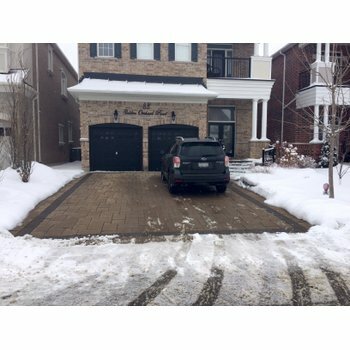 Brian Phillips, Mississauga, Ontario, Canada, a "weekend warrior" who just loves carpentry and working with tools, has installed not one but two electric heated floor systems from WarmlyYours in his two basement bathrooms. While he's not a professional tradesman, he was confident enough to tackle installing the flooring after researching WarmlyYours' products and their installation requirements. When Kory Nelson, owner and founder of Nelson Design and Engineering, Portland, Ore., began remodeling and flipping single-family homes more than a decade ago, he was looking for something to set his work apart — the "wow" factor. Read how he adds electric floor heating from WarmlyYours to all of his homes as a statement piece to set him apart. Details matter to Designer Stephanie Bruntz, Certified Kitchen Designer (CKD) and manager at Studio B Design, located in Kearney, Neb. Read how she brings big city style and design to rural homes in Nebraska — and creates paradise on the plains with electric radiant heating products. James & Anne Church from Washington, D.C., share how they warmed up their 100-year-old historic D.C. home and reclaimed their space with radiant heat. Scott Skiermanski, president of Stoneridge Builders Inc., Prairie Grove, Ill., installed a TempZone™ floor-heating system and successfully turned a sunroom into a true four seasons room. Everyone needs his or her own space! Read how Minneapolis-based David Ische installed WarmlyYours Environ™ floor heating in his "man cave." 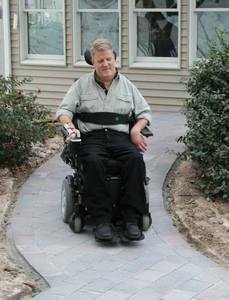 What started as an article by Rob Robillard about a WarmlyYours snow-melting system on his website, www.AConcordCarpenter.com, became a much-needed, perfectly timed, multi-company, pro bono project for Robb Butts, a 50-year-old quadriplegic living with his father in Hudson, Mass. Bert Tomon from Parma Heights, Ohio, had a problem. Wintry Ohio weather would often cause snow and ice to accumulate on his front porch. 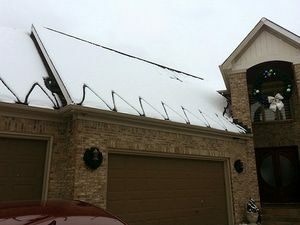 Tomon decided to invest in a snow-melting system that would keep the porch free of snow and ice so he could safely enter and exit his home during the chilly Midwestern winters. 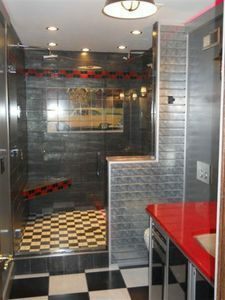 Kathy Wallace of Store with Style, Mentor, Ohio, installed WarmlyYours electric floor heating in her client's unique, totally tricked out "Car Guy" bathroom. Everything Tee Shirts 4 Troops does is donation driven. It gives away tee shirts (14,500+ to date), offers musical instruments (175+ to date) and music lessons (which is very fitting since it was founded by three jazz musicians after a USO tour with the troops), and operates a home in Indianapolis that provides wounded soldiers returning from Iraq and Afghanistan a place to recuperate and transition back to civilian life. WarmlyYours saw a need to assist the organization in creating a warmer, more comfortable and safer environment for the troops at the home and responded with several donations to help the organization and the veterans it serves. 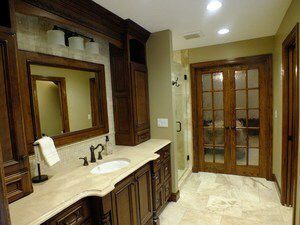 It started with two Infinity (plug-in) towel warmers and was followed by multiple floor-heating systems for the bathrooms and bedrooms and a snow-melting system for the front porch. Most recently, WarmlyYours donated a deicing system that keeps the roof and gutters above the front porch free of snow and ice. 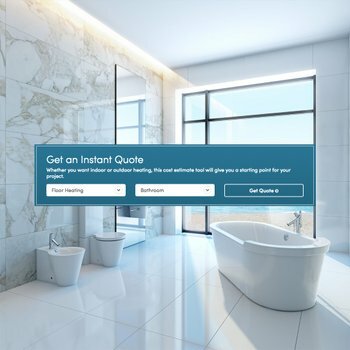 Whether you are a homeowner, do-it-yourselfer, or seasoned designer or installer, we place an emphasis on offering a high-quality product with even better customer service. We've created the "Share Your Story" program to celebrate the diversity of uses (and users!) for our products and to show our customers how much we appreciate them while giving them an opportunity to let us know how our products are making a difference in their lives. Add your story to this list! You know you've got a good one. Share your story here or send your story with attachments to TellYourStory@WarmlyYours.com and you'll be qualified for a chance to win $100! One winner is selected every month, and winners are frequently profiled on the WarmlyYours blog. If you have photos, videos, diagrams, illustrations, cartoons, or even caveman drawings to help tell your story … all the better! 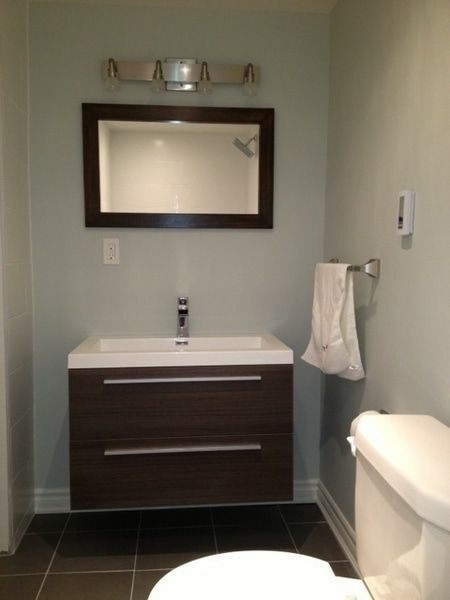 Next Post What Does Radiant Floor Heating Cost in an LA Bathroom?